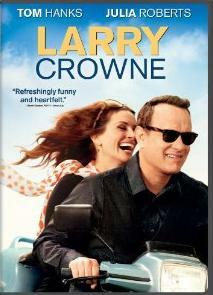 Oscar® winners Tom Hanks and Julia Roberts reunite for a dramatic comedy about how the hard knocks from today’s recession inspire one everyday guy to undergo a personal reinvention: Larry Crowne. Until he was downsized, affable, amiable Larry Crowne (Hanks) was a superstar team leader at the big-box company where he’s worked since his time in the Navy. Underwater on his mortgage and unclear on what to do with his suddenly free days, Larry heads to his local college to start over. There he becomes part of a colorful community of outcasts, also-rans and the overlooked all trying to find a better future for themselves…often moving around town in a herd of scooters. In his public-speaking class, Larry develops an unexpected crush on his teacher Mercedes Tainot (Roberts), who has lost as much passion for teaching as she has for her husband.